“The Townspeople,” published today with Cleaver Magazine! My short story, “The Townspeople,” is live today in Issue 18 of Cleaver Magazine! I’m excited, and I hope you’ll have a read. Fall Issue of Chiron Review with My Short Story, “Refuge”! 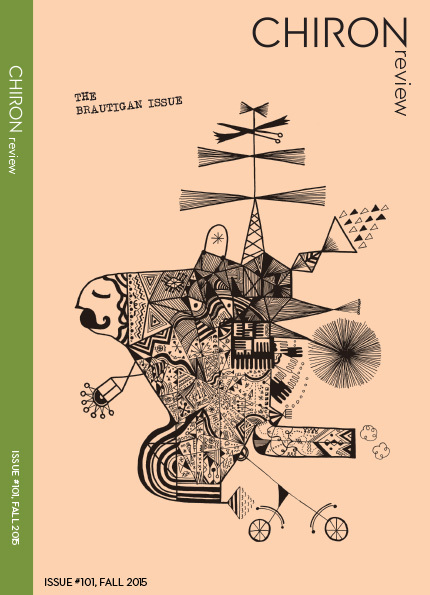 The Fall 2015 issue of Chiron Review is out! Editor Michael Hathaway is calling this issue “The Brautigan Issue,” as it includes “unpublished prose” from writer Richard Brautigan, as well as an introduction by Ianthe Brautigan, also a writer and Richard Brautigan’s daughter. The issue includes several pieces of poetry, prose, and art by a variety of writers and artists. I’ve ordered my paper copies and can’t wait until they arrive! I’m honored and excited to be in this publication and eager to get reading. 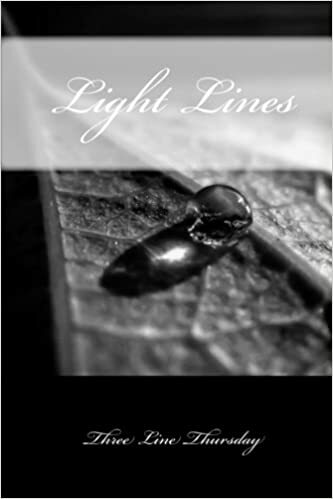 Three Line Thursday Light Lines Anthology Release! Happy National Poetry Day! I’ve tried, as often as I can, to participate in the weekly competition run by poet Grace Black, Three Line Thursday. Each week, Grace provides an inspiring image as a prompt, and asks that people write three lines (no more than 10 words per line) in response. Anyone can participate by posting three lines in the comment section of the week’s competition page. There is a fantastic community of writers there who are talented and supportive of one another. On Saturday of each week, a winner, runners up, and special challenge winner are announced. I’ve had a wonderful time challenging myself to get as much meaning as I can into 30 words or fewer. I’ve learned a lot from reading the work of other talented writers there, and through this process. I’m grateful to Grace for this continuing opportunity. Over the past year, I’ve been honored to place in the top a few times, and even to be the winner once! I was very excited to hear that Grace was planning to put together an anthology of poetry from the first full year of Three Line Thursday, including all the winners. The poetry anthology was released today, October 8, 2015, just in time for National Poetry Day! Winning poems from the past year appear in the collection, and Grace also gave us the chance to write an additional poem, following the same guidelines, for this year’s National Poetry Day theme: Light. The anthology is called Light Lines. I’ve ordered my copy and can’t wait to read the talented writers included there and be inspired, as I am every week at Three Line Thursday! Thanks, Grace! Speaking of Three Line Thursday, it is, in fact, Thursday, so it’s time to write and try out this fun and inclusive competition! Or, as Grace would say, “come lay down ink” with the Three Line Thursday crowd! If you order the anthology, let me know what you think!